Apart from the Chen Pan Ling arts, the Academy includes several forms of gong fu into its general karate classes as part of its Wu-Wei Dao system. These arts are all said to originate from the Shaolin monastic tradition. Shaolin 少林 literally means "young forest" and is a reference to the location of the original Shaolin monastery. Karate is said to derive principally from these Shaolin arts, although many argue that some of the Goju-ryu kata show internal arts (specifically Xingyi and Bagua) tendencies. The Academy does not profess to teach a complete Shaolin system within its Wu-Wei Dao syllabus: it has karate as its principal external system. Rather, various Shaolin forms are taught in addition to the karate syllabus in order to introduce techniques not otherwise found (or fully explored) in karate. The Wu-Wei Dao system includes two forms that are part internal and part Shaolin (external) from the Tang shou dao (ie. "karatedo") system of the late Hong Yi Xiang in Taibei, Taiwan. These serve as a "bridge" to the internal arts, introducing techniques and a form of movement based on an entirely different set of principles in a paradigm that a senior external student can readily understand and apply. The forms are the creation of master Hong and were passed down via Nenad's and Dan's principal instructor Laoshi Bob Davies. Luo De Xiu,1 a former student of Master Hong states: "At the T'ang Shou Tao school Hong Laoshi created some forms as a program for beginners... We started at the beginning with what looked like Shaolin forms, but weren't really Shaolin. They were modified Xing Yi and Ba Gua forms, changed into a more Shaolin style. At the higher levels we learned the traditional Xing Yi forms." Luo's designation of these forms as suitable for "beginners" is however a matter of perspective: while they mark the beginning of internal arts, they are highly sophisticated forms in their own right. It would be a mistake to regard these half external / half internal forms as somehow "inferior" to the purely internal arts such as Taijiquan, Baguazhang and Xingyiquan (or, for that matter, purely external arts such as karate). Hong Yi Xiang's "bridging forms" can be viewed as such a combination. It is possible that, as the creator of these forms, he accorded them a lesser status than older forms, partly out of custom (ie. to elevate knowledge that is older) and partly because they marked the beginning of his particular teaching sequence. In the end, the various types of external and internal martial arts are best presented as points in a circle (neither superior nor inferior) rather than points in a linear progression. A "soft" external artist is as effective as a "hard" internal artist. The "Shaolin" component in the bridging forms is very likely taken from Hong's father's art, a school of Taiwanese white crane, considered by some to be among the "softer" external arts. 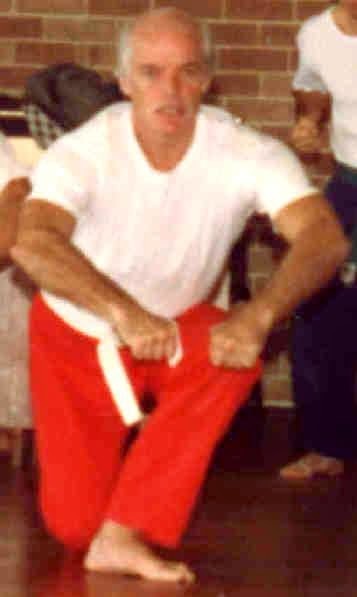 The white crane heritage is not only identifiable in the techniques and principles of the bridging forms, but also in the names: for example a counterpart to the form Wu Hu Xia San exists in White Crane Silat's Wun Fie Loa (which also means "5 tigers coming down the mountain"). Although this form might look radically different at first glance, a closer observation reveals the same "embusen" (lines of movement) and corresponding techniques, indicating that Hong Yi Xiang may have used an ancestral crane form as a template for the creation of his hybrid. The 2 Tou Xing (Nagegata in Japanese) are throw forms that have had a long period of evolution in the Academy. In their present form they are used to teach the footwork and posture rered to effectively apply a number of projections and throws derived from southern Chinese White Crane, internal arts qin-na and jujutsu/aikido. The forms can be practised solo or against continuous attacks from partners. 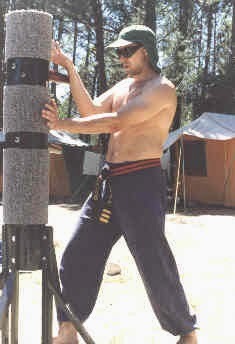 The Academy also teaches the Wing Chun wooden dummy form as taught by the late grandmaster Yip Man. It was taught to Nenad and Dan by Laoshi Bob Davies who in turn learned the art from Master Bill Newman. It teaches useful close quarter deflections and parries.